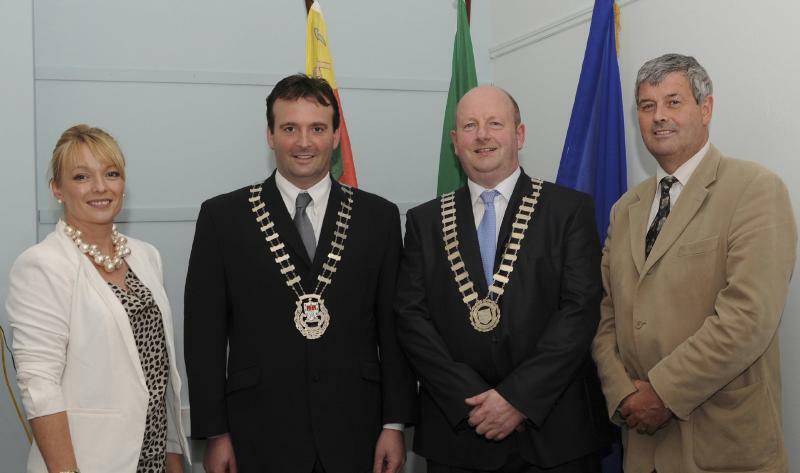 Newly elected Mayor of Castlebar Cllr Brendan Henaghan. 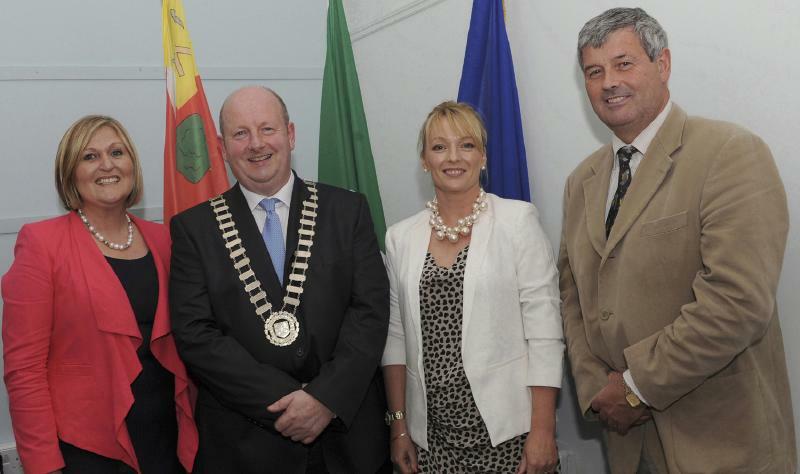 LtoR: Marie Crowley, Town Clerk, Cyril Burke, Cathaoirleach MCC, Cllr Brendan Henaghan, Mayor of Castlebar, Seamus Granaghan, Town Manager. Photo Tom Campbell. 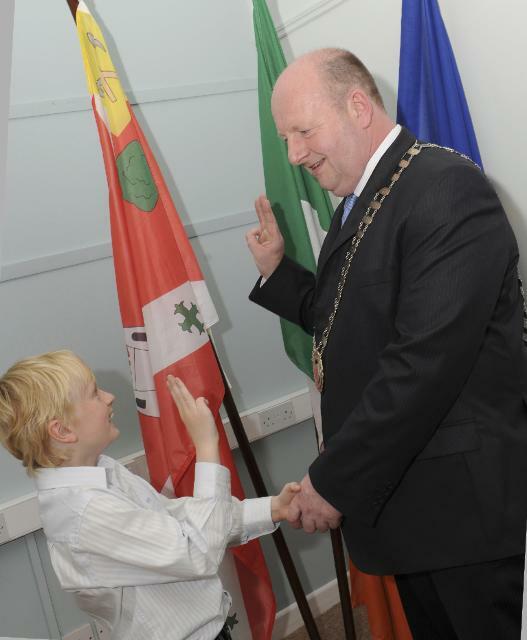 Newly elected Mayor of Castlebar Cllr Brendan Henaghan photographed with his son Tom. Photo Tom Campbell. 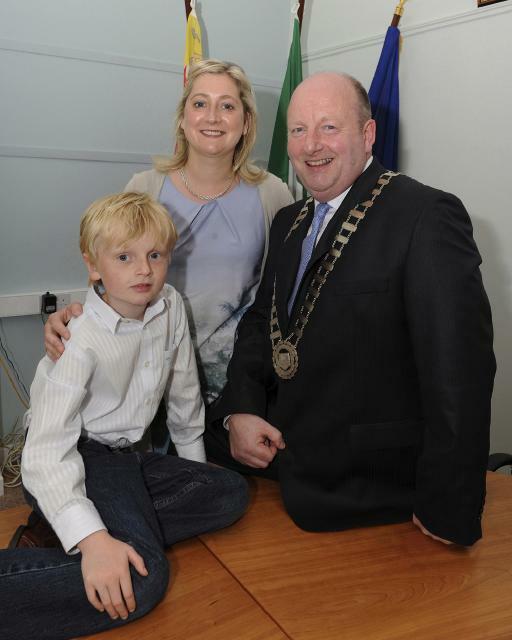 Newly elected Mayor of Castlebar Cllr Brendan Henaghan photographed with his wife Trish and his son Tom. Photo Tom Campbell.